FOLK DANCING: This fun friendly groups meets on Tuesdays at Hellingly Village Hall from 7.45pm to 9.45pm. Beginners are always welcome. Folk dancing provides gentle exercise for body and mind. Just turn up or for further information call (01323) 841127. FIELD TO VASE: A Cut and Arrange Workshop is taking place at the Cutting Garden at Broad Farm, Hellingly on Saturday June 16. The cost is £40 which includes refreshments and your flowers to take home. You can book at www.sussexcuttinggarden.co.uk. REUNION: There is a Hellingly Hospital Social Club reunion on Saturday June 16 at The White Hart, Horsebridge at 6.30pm. All welcome. WEDDING SHOWCASE: Blackstock Estate, Grove Hill, invites you along between 10am and 3pm for a free event when you can explore this fabulous venue and grounds, meet the wedding team, sample wedding food and much more. Both barns will be dressed ready for a wedding. Visit www.blackstockestate.co.uk or for more information 01323 848006. MEN’S BREAKFAST: If you would like to attend the Men’s Breakfast tomorrow, Saturday, 9am at Chapter 12, High Street, Hailsham, please let Graham know on 01323 840915 and give him your choice of breakfast. Paul Endersby will be speaking on Hailsham Then and Now. VICAR: The Rev David Farey and wife Pat are off to pastures new in September. The members of Hellingly and Upper Dicker churches are now starting the process of seeking his successor. OPEN FARM SUNDAY: You are invited to Parkwood Farm, Upper Dicker on Sunday between 2pm and 5pm. Learn how a busy dairy farm operates on a day to day basis, see the milking of their 450 cow herd and hear first-hand from experts on cattle health and fertility, feed and daily care. HOMEFRONT WEEKEND: At Michelham Priory on Saturday and Sunday June 16 and 17 from 10.30am to 5pm you can step back in time to the 1940s as Michelham Priory pays tribute to the war years with displays, activities and entertainment. Discover the role Michelham played during World War II when it hosted evacuees and visit the display gallery in the main house. Traditional 1940s Music & Entertainment in the Tudor barn. Come and see the many veteran vehicles parked around the grounds and chat with the owners. Activities for children throughout the day. Artefact handling. Watch out for wartime characters. Wartime themed products available in the Dovecote Shop. Normal admission applies. PARISH COUNCIL: Arlington Parish Council next meet on Thursday June 21 at 7.30pm at Upper Dicker Village Hall. Draft minutes of April 19 Parish Assembly and Council meeting available in the Village Shop. See http://www.arlingtonparish.org.uk for all APC information. BARN DANCE: Tickets available for this event which takes place on Friday June 22 from 6.30pm to 11pm. A fabulous evening of barn dancing and feasting in the stunning Elizabethan Great Barn, the gates open at 6.30pm for exploring the site followed by a tremendous Hog Roast buffet served from 7pm. Barn dancing will begin at 8pm with Brighton Ceilidh Collective and the final dance will end at 11pm. Between dance sets you will have the chance to explore the beautiful gardens and moat terrace walks on the Michelham Priory estate and watch the sun go down over Priory mansion. Ticket prices are £30 per adult, £15 per child (aged 3 to 12 years) or £90 per family ticket for two adults and two children. Under 3s go free. All profits made from the ticket sales go towards the care and upkeep of Michelham Priory. 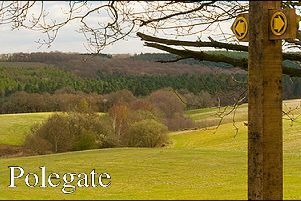 If you would like more information visit http://sussexpast.co.uk/events.